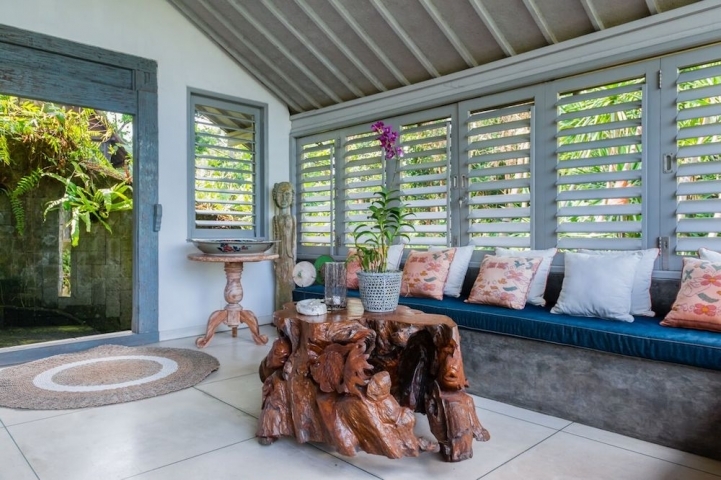 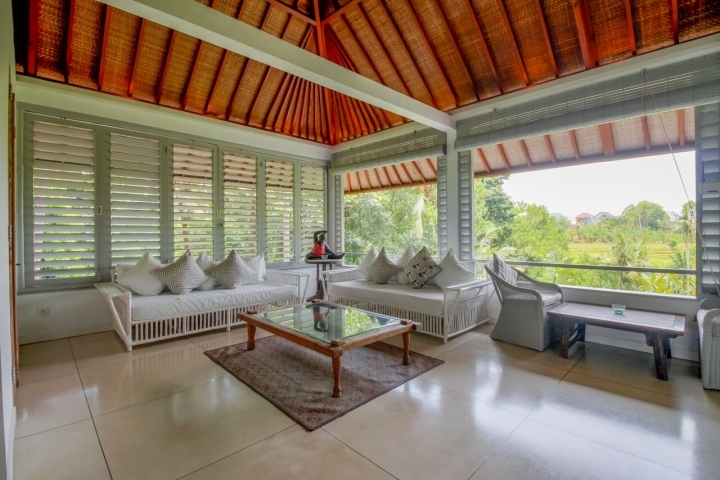 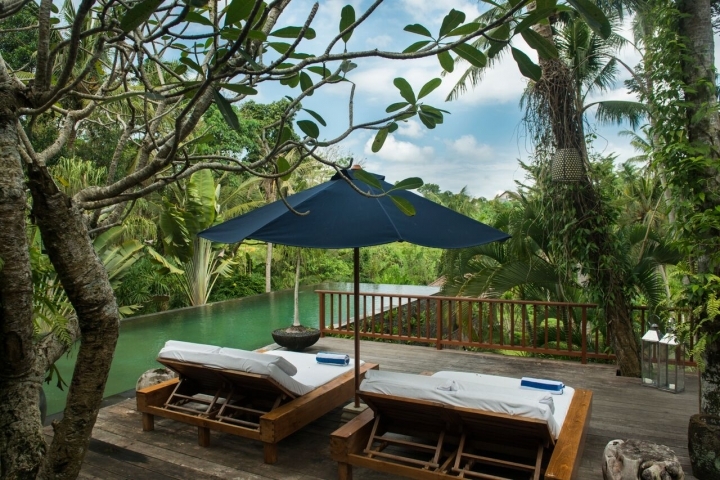 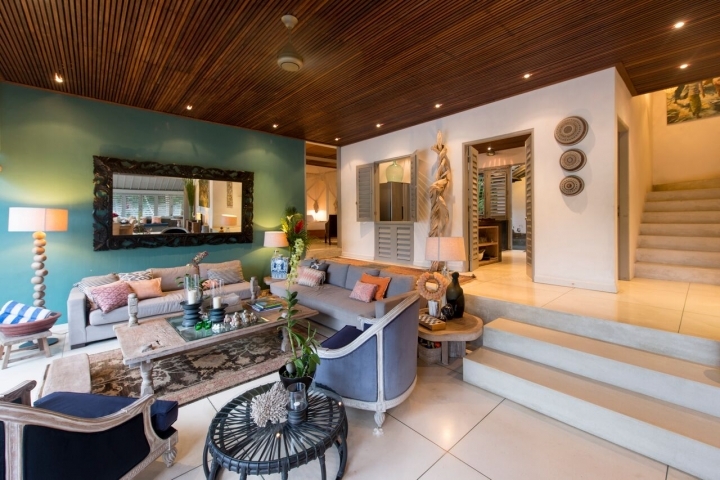 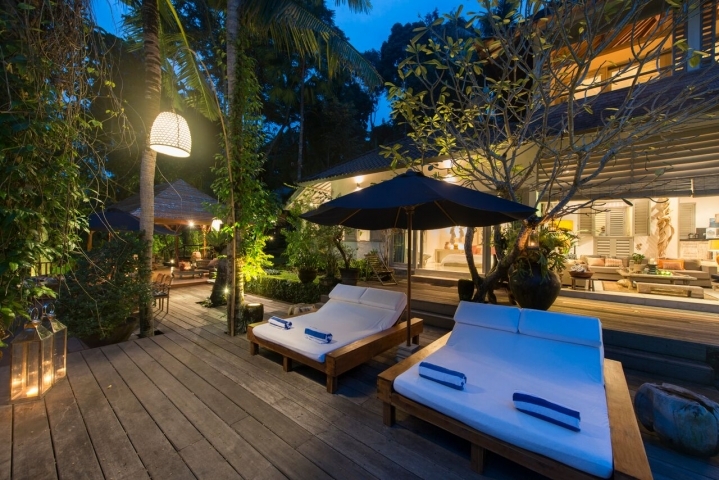 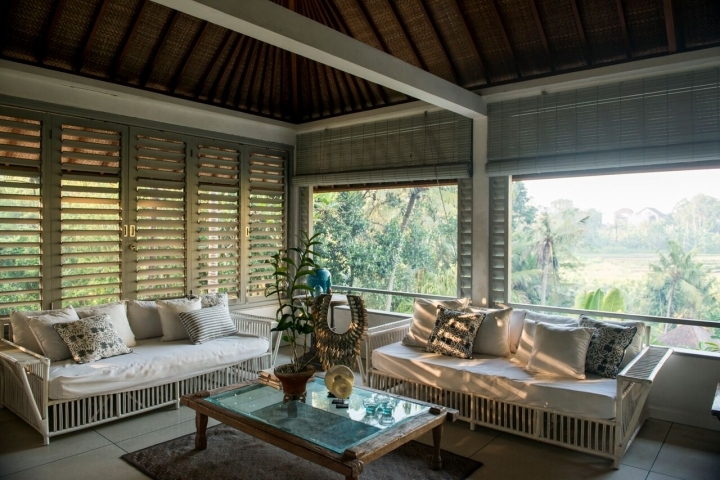 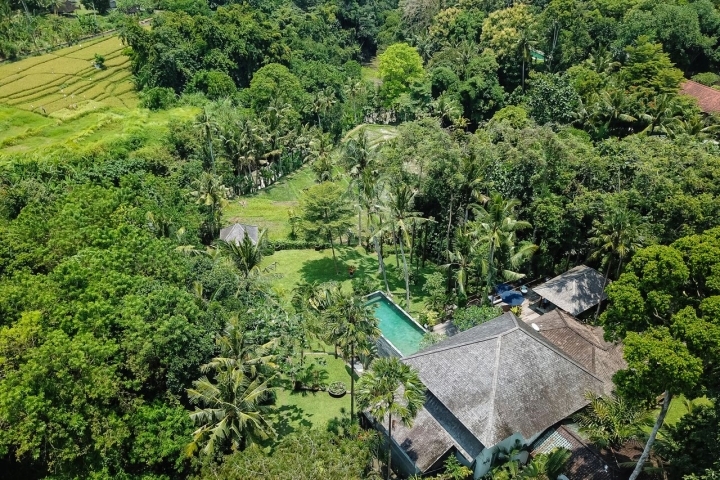 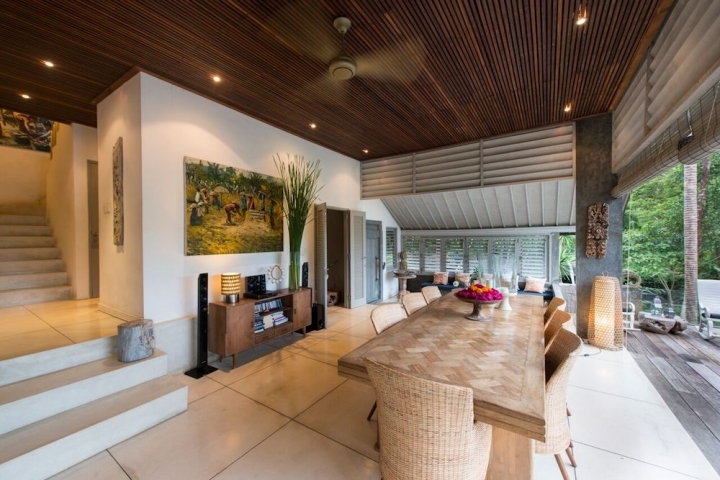 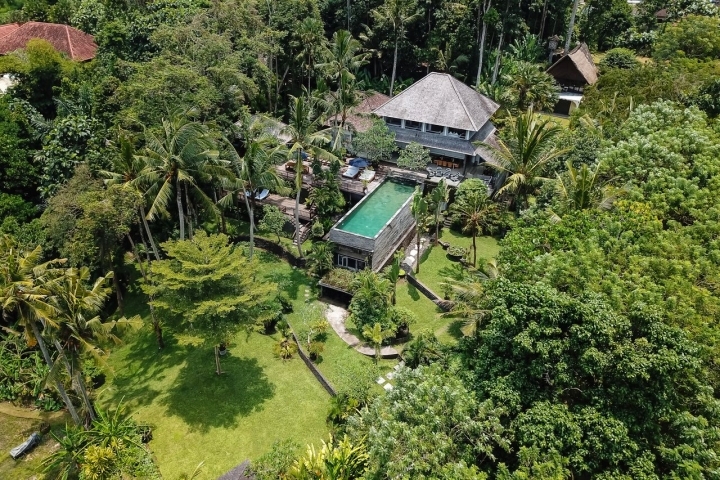 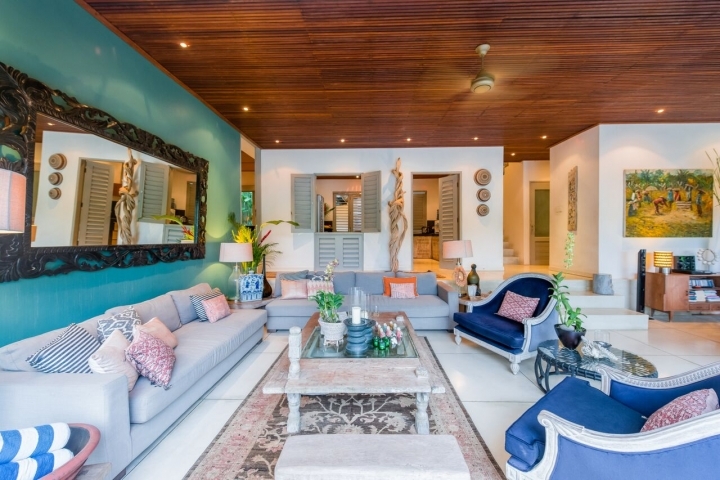 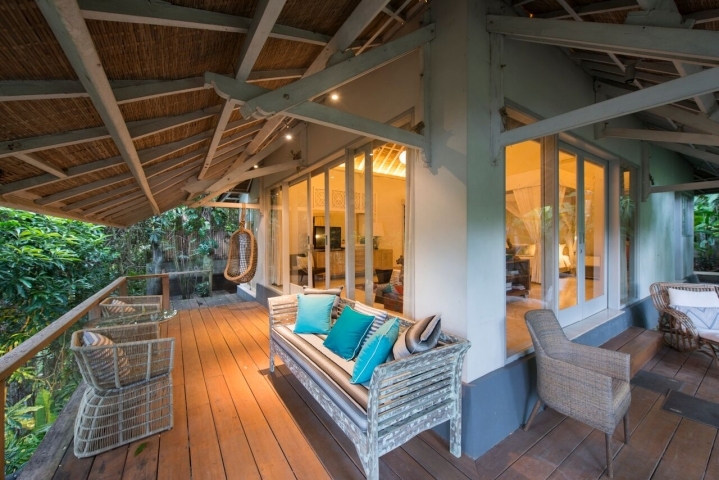 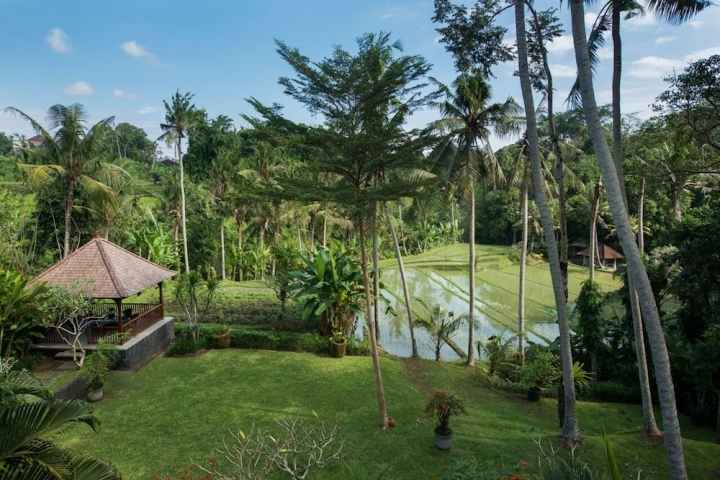 Amazing 4 bedroom villa is located in between trendy Canggu and traditional area of Tanah Lot. 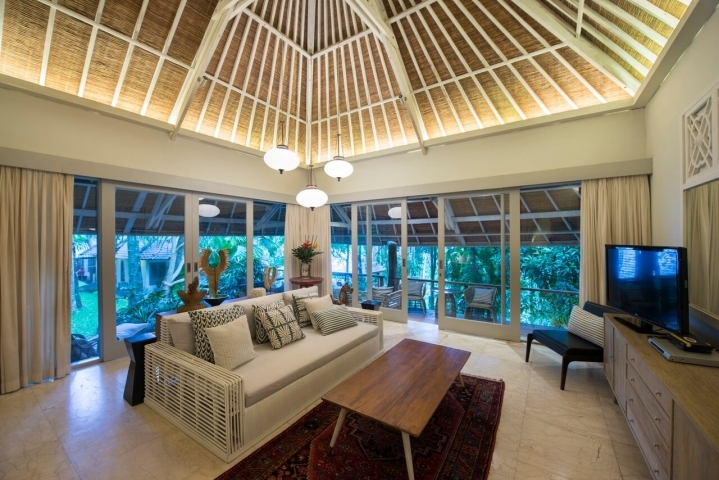 Villa has three living rooms: one living room adjoins the master bedroom, the second living room rests next to the kitchen and the third living room is open style, located between the main house and the guest house. 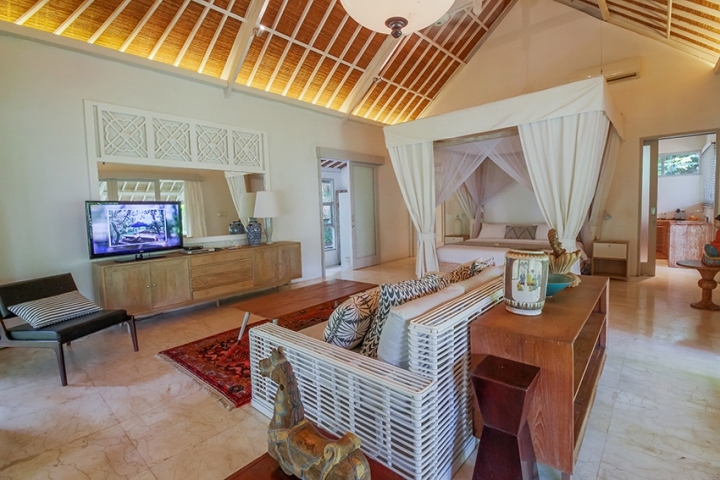 The TV room is in the main house next to the living and dining rooms. 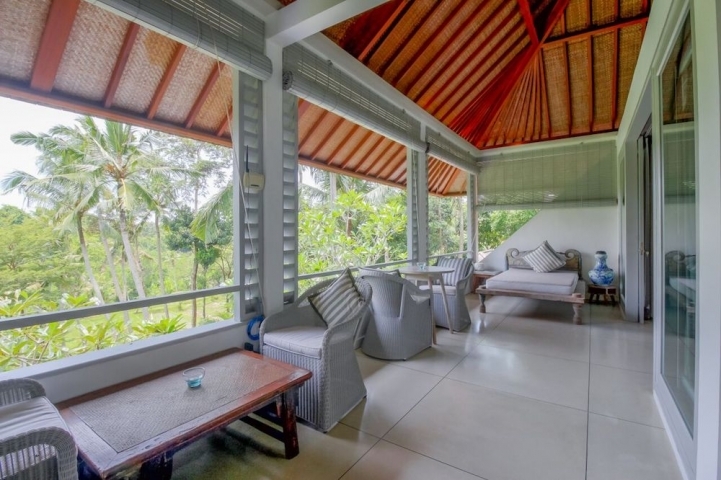 The fully equipped kitchen includes fridge, oven, grill, stove top plus fan, microwave, toaster, kettle, coffee machine, blender. 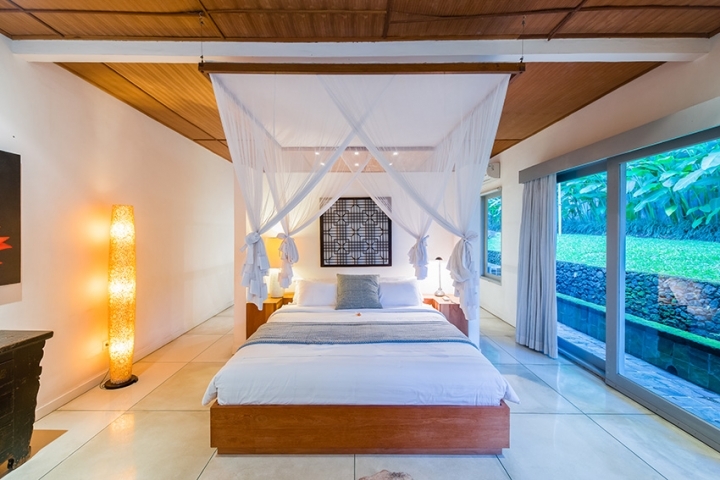 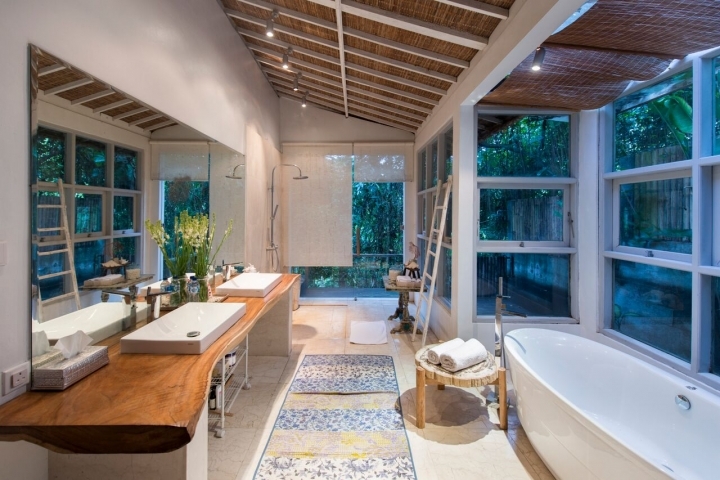 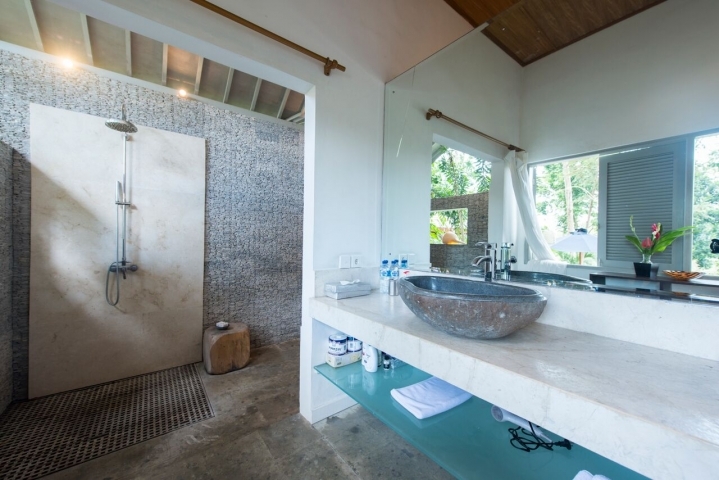 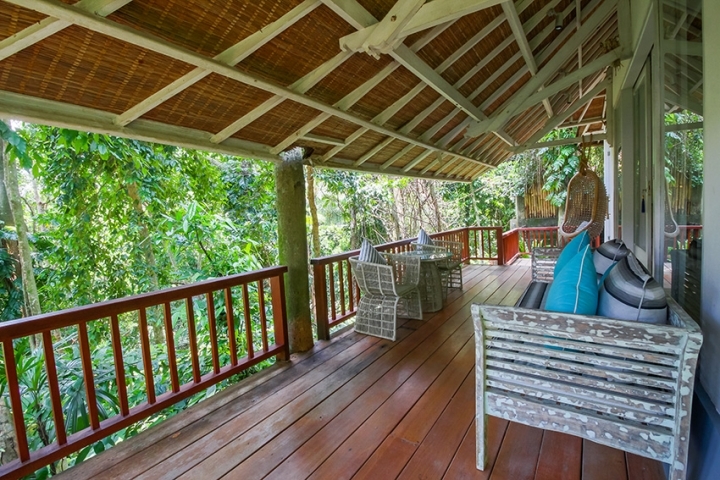 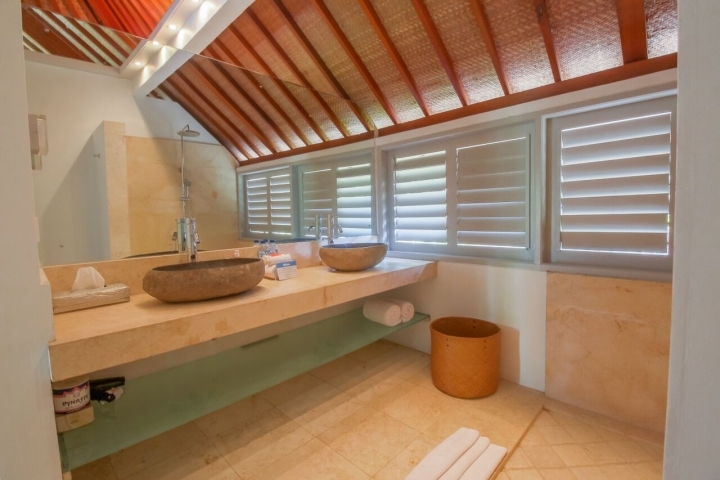 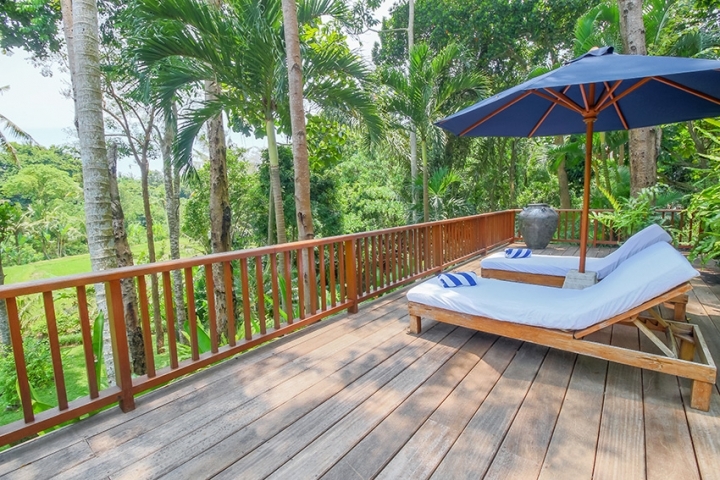 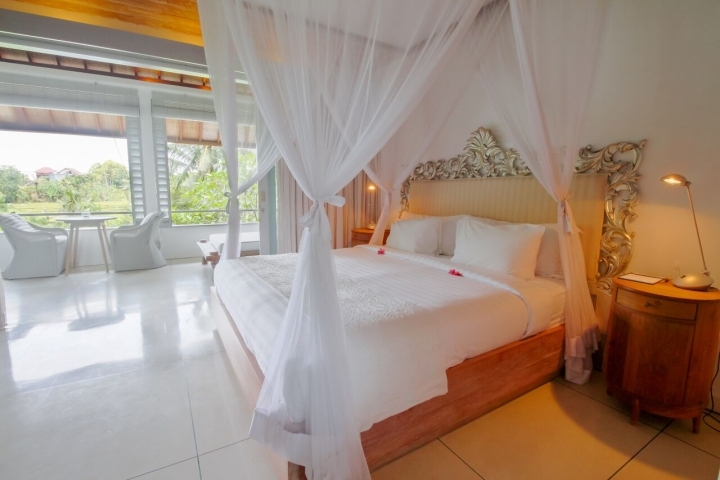 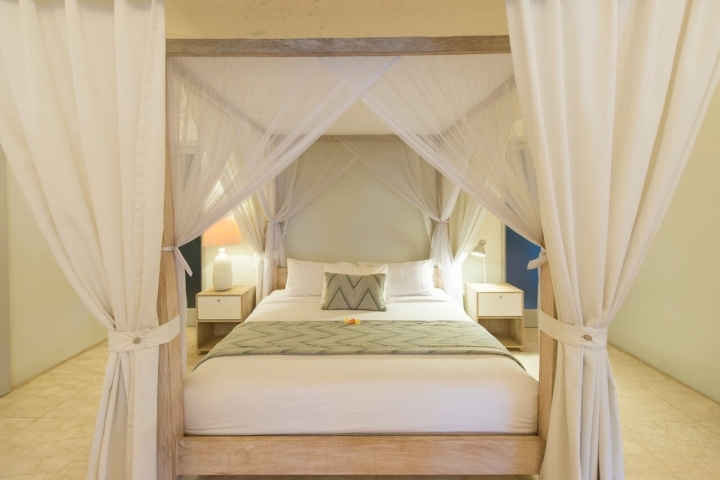 Villa has four comfortable bedrooms, all feature ensuite bathrooms. 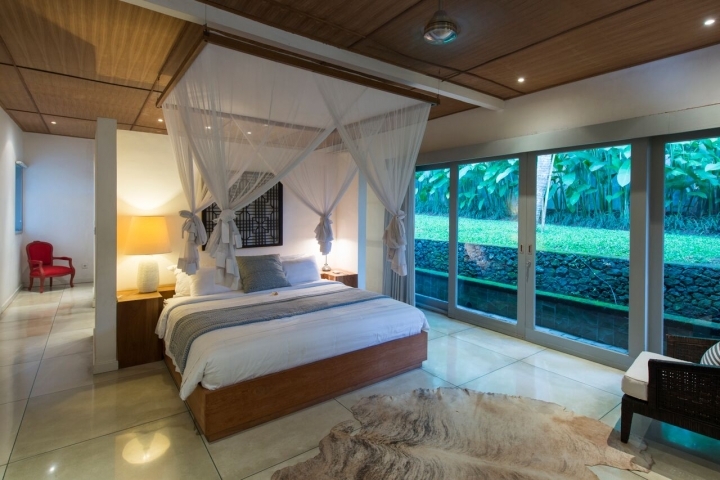 The master suite is located on the first floor of the main house and has a balcony. 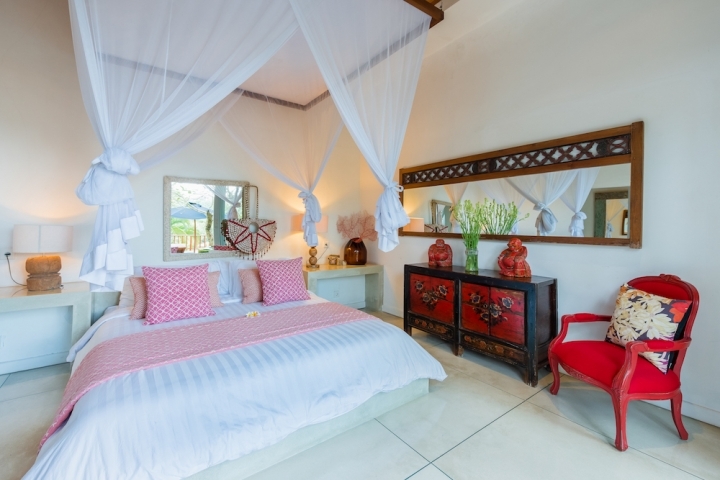 Two guest bedrooms each with ensuite bathrooms are located on the ground floor. 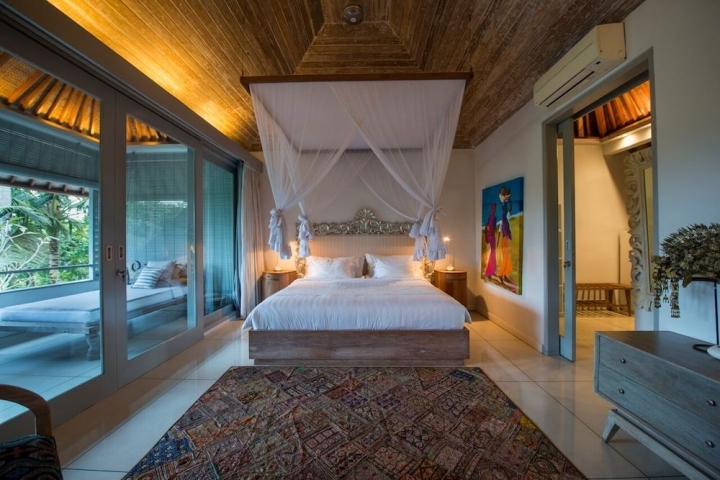 The fourth bedroom is located in the guest house. 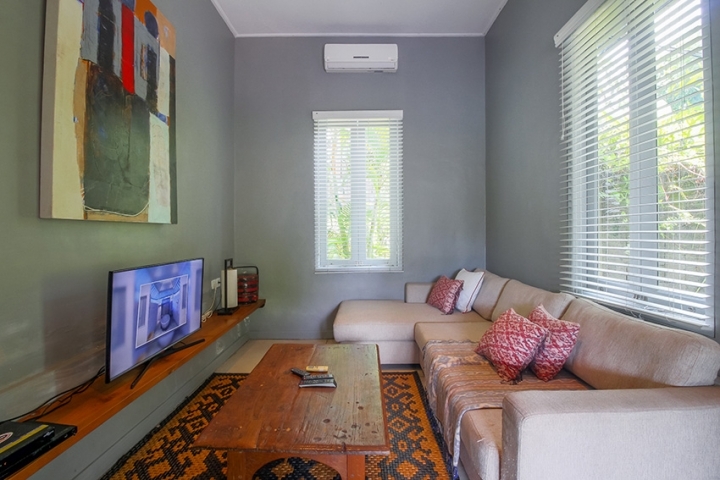 The guest house has its own living room, with TV and kitchenette. 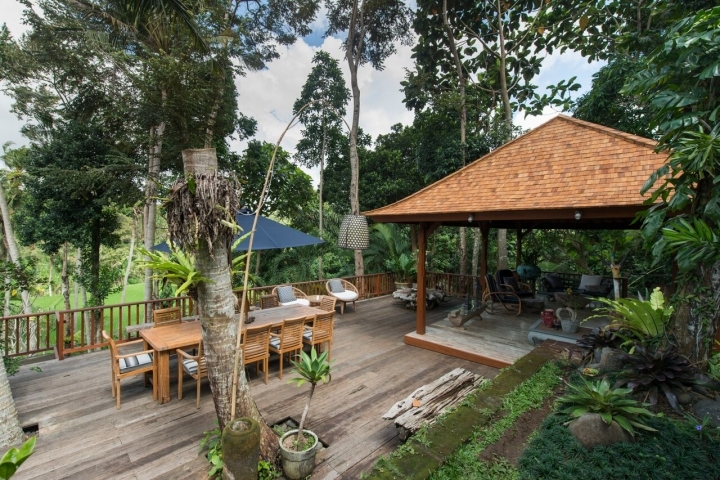 The terrace is a beautiful spot to relax overlooking the gardens and waterfall, and paddy fields beyond. 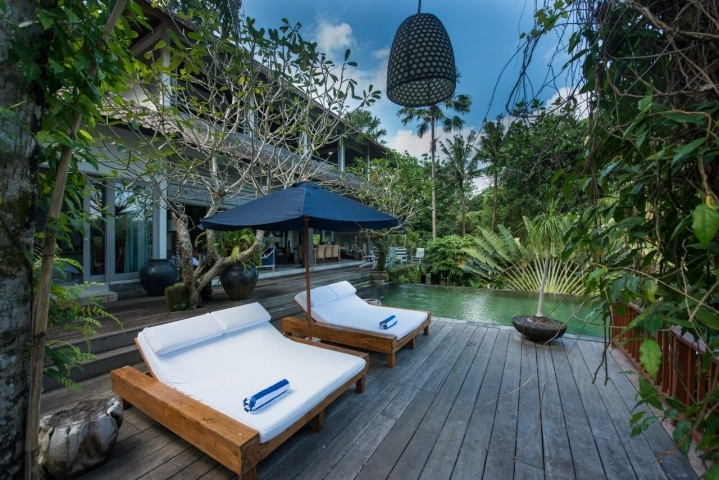 The large 18 meters pool overlooks the garden and adjacent deck has sun loungers, alfresco dining and an additional covered living space. 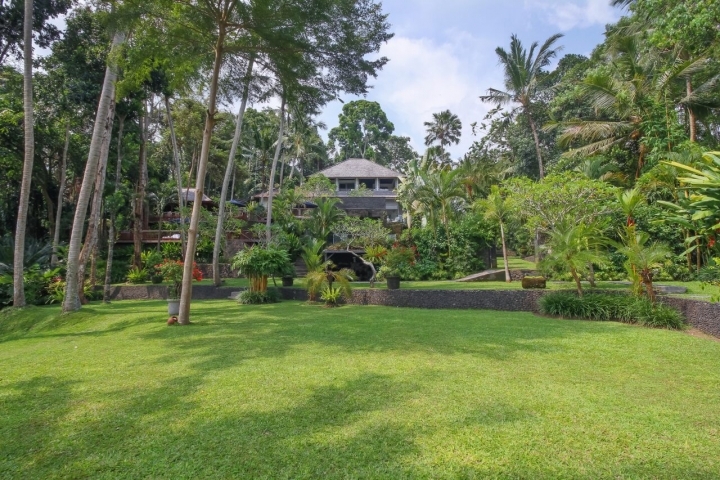 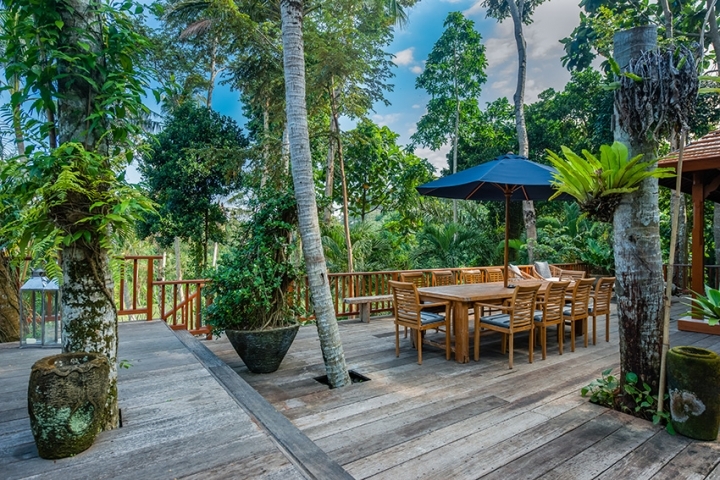 The villa is surrounded by mature gardens and tall trees with a waterfall next to the guest house. 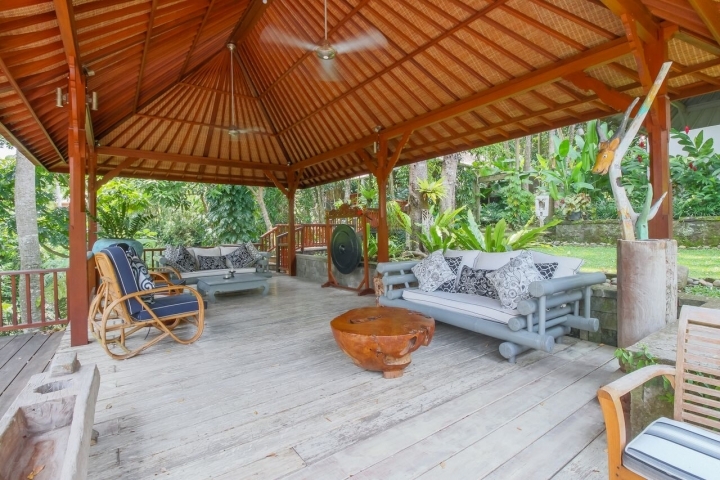 The lawn at the bottom of the house also has a relaxation bale in the far corner that can be used for dining, yoga or just a place to chill. 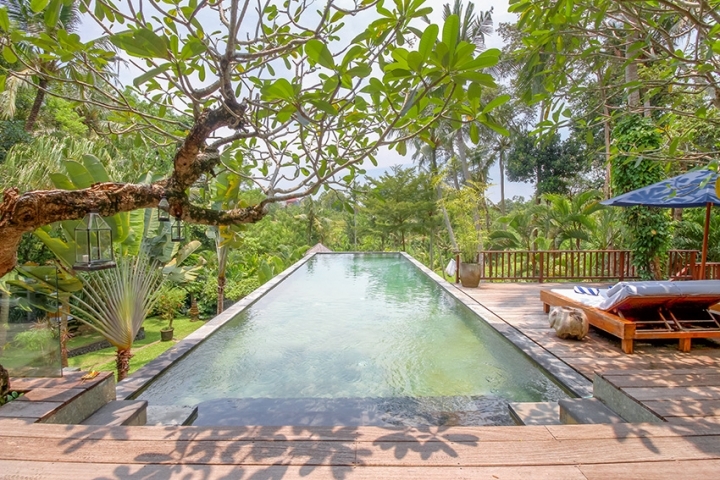 Villa staffed by an amazing team who are frequently complimented by guests for their good food, hospitality and excellent service. 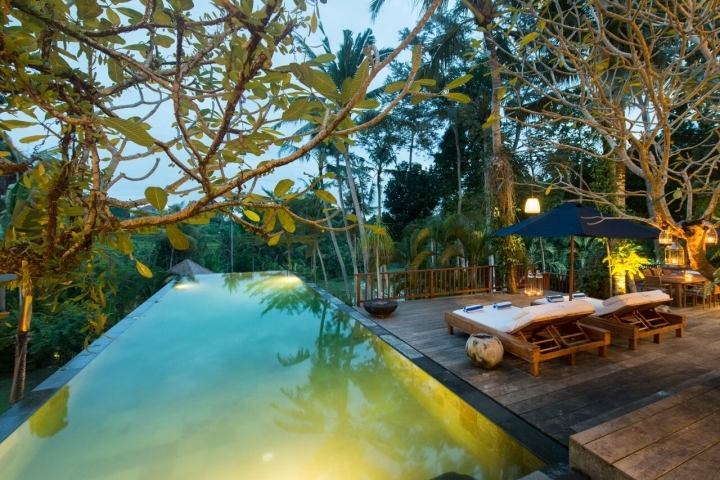 The team consists of a cook, a butler, housekeeping and a driver. 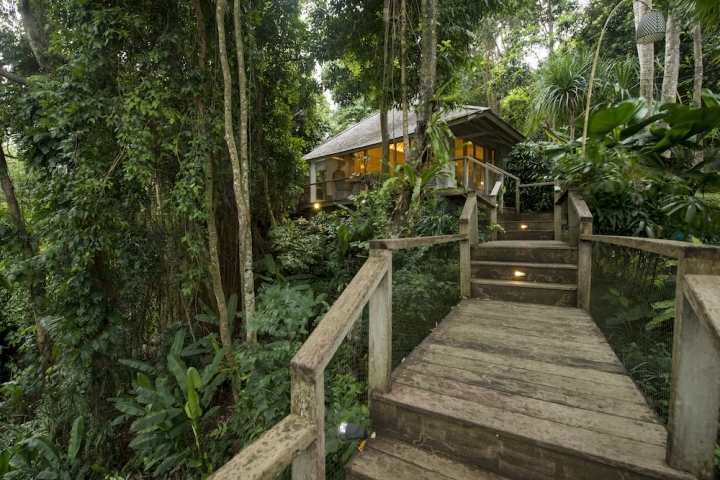 Stand by car and driver (8 hours/day, exclude petrol) is included. 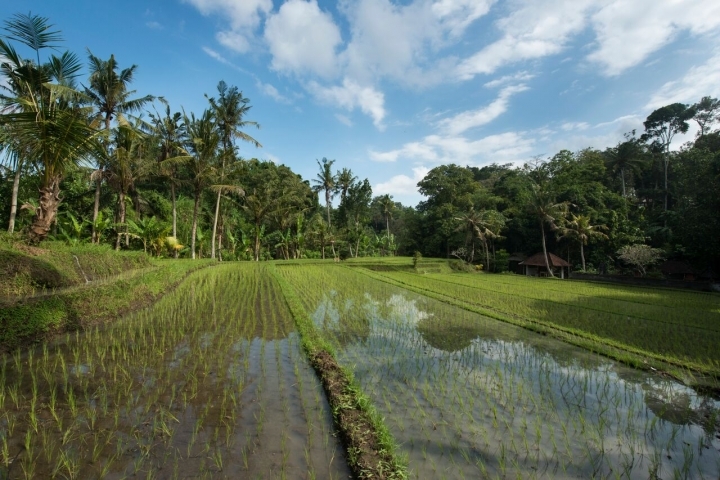 High season: Easter, Chinese NY, June 16 - October 1. 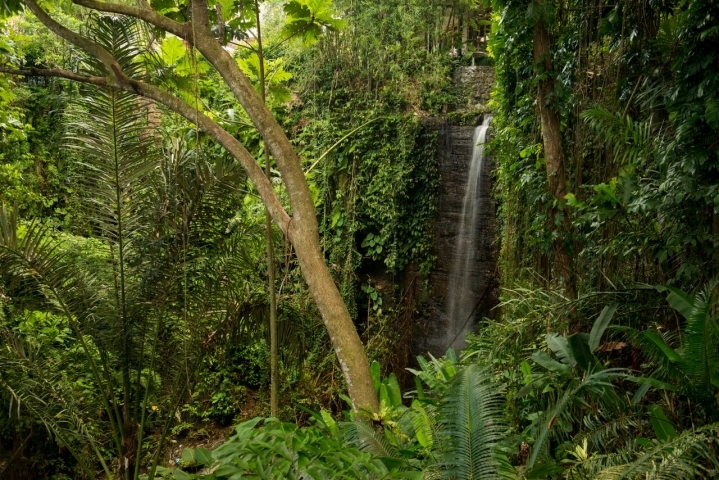 Peak Season: December 20 - January 9.